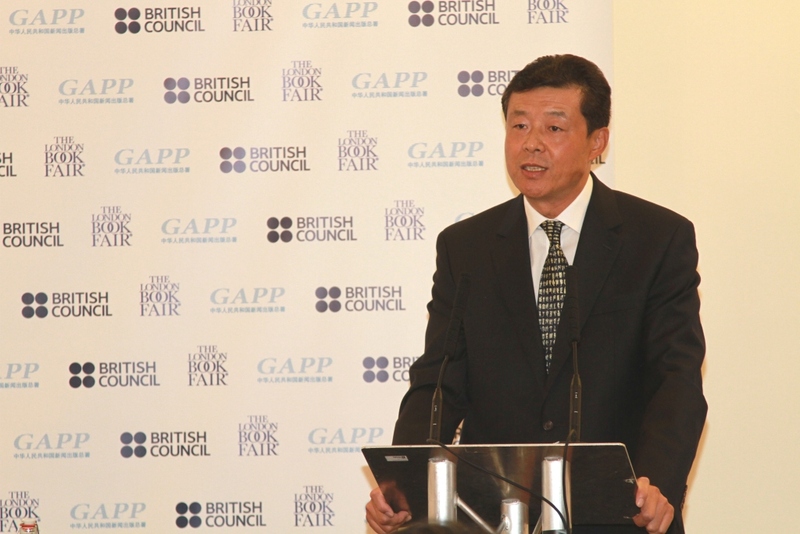 On September 6th, 2010, Ambassador Liu Xiaoming attended the reception on China-UK press and publication cooperation jointly hosted by General Administration of Press and Publication of China, British Council and Reed Exhibitions, and witnessed the signing ceremony of the Memorandum of Agreement of China as the Guest of Honour of Marketing Focus Programme to 2012 London Book Fair. Over 50 peoples from the press and publication sector in China and the UK, including Mr. Liu Binjie, Minister of General Administration of Press and Publication, Mr. Vernon Ellis, Chair of the British Council, Mr. Andrew Fowles, President of Reed Exhibitions, and Ms. Victoria Barnsley, President of Publishers Association attended the reception. Minister Liu Binjie introduced in his remarks the reform and development of the publishing industry and copyright protection in China, saying that China adheres to the principles of orderly opening up and effective management in the field of press and publication and has good cooperation with many internationally well-known media groups. Driven by the “going global” strategy of the Chinese government, more and more Chinese press and publishing companies cast their eyes on the international market. 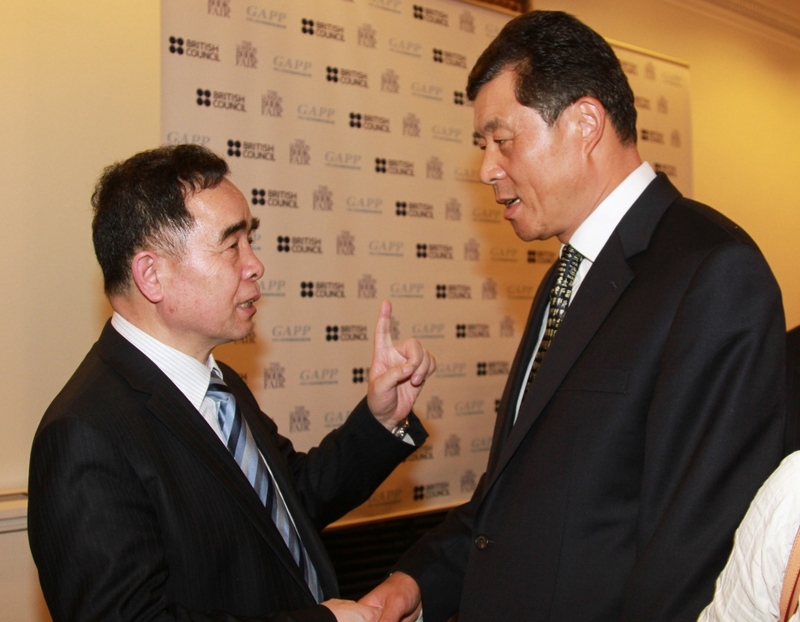 China and the UK have close exchanges and cooperation in publication, and the UK is China's second largest trading partner in copyright trade. 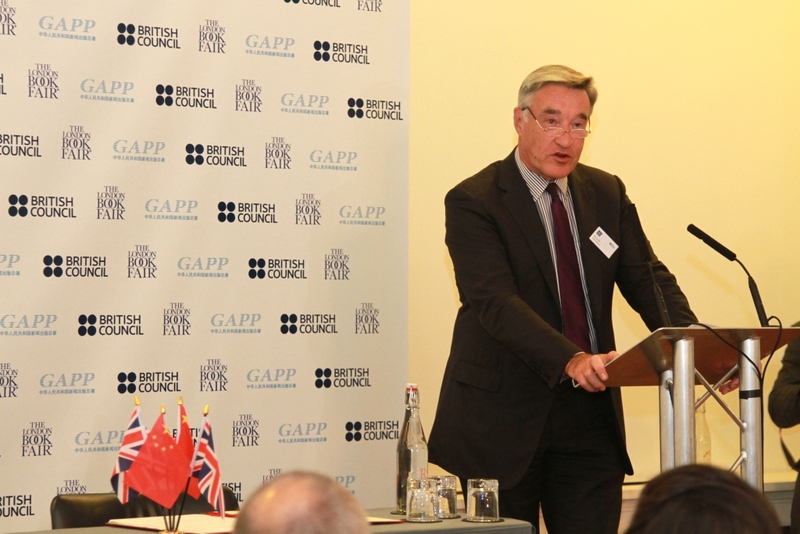 China’s participation in the 2010 London Book Fair as the guest of honour of the Marketing Focus Programme will further promote the China-UK publication trade and become a milestone in the publishing and cultural exchanges between the two countries. 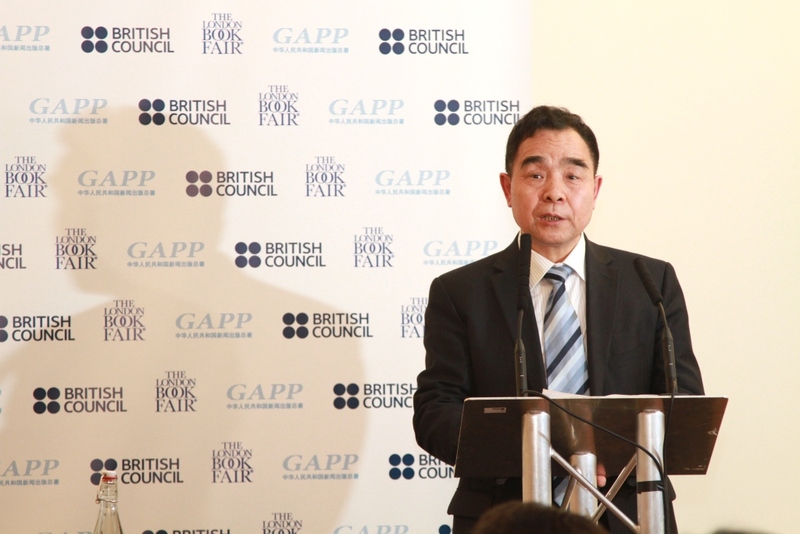 Ambassador Liu said in his remarks that China-UK relations have grown in strength in recent years, with deepening exchanges and cooperation in many areas. The bilateral cooperation in the field of press and publication has made great progress, and the copyright trade between the two countries has also been growing. The events will lay a more consolidated basis for the cooperation between the two countries and achieve more fruitful results. The signing of the Memorandum of Agreement, making China the guest of honour in the Market Focus Programme of 2012 London Book Fair, one of the world’s most important book fairs, is a big boost for China’s press and publishing industry in their endeavor to go global, and will help to expand China-UK cultural exchanges and enhance mutual understanding and friendship between the two peoples. 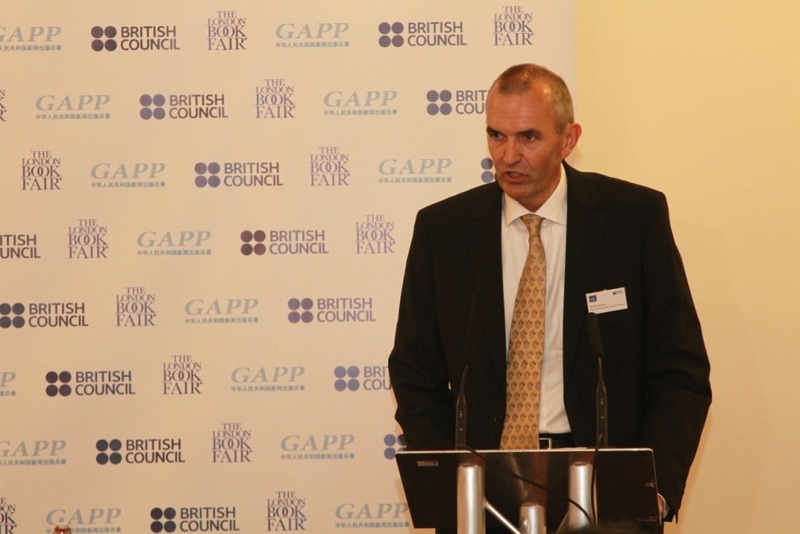 Ellis said in his remarks that the British Council is committed to promoting cultural exchanges between the UK and China. More and more British readers today start to like Chinese literature and hope to know more about China, and the Chinese readers also have lasting interests in the British literature. As China becomes the guest of honour in the Market Focus Programme of 2012 London Book Fair, the UK-China cooperation in the press and publication sector will be further promoted and the exchanges between the people in cultural and publication industries in the two countries will be enhanced. Fowles and Barnsley respectively made remarks, saying that ever since the 2004 London Book Fair, the Chinese publishing industry has been going global, with a constantly rising status in the international circle of publication. With the arrival of the digital era, the publish industry is faced with the challenges of adapting to the new situations, attracting more extensive audience and winning a broader international market, which need to be addressed jointly by the publishing companies in the UK and China. They believed that China as the “Market Focus” guest of honour of 2012 London Book Fair will inject new vitality in the exchanges in publication between the two country and help to further promote the Chinese culture in the world. 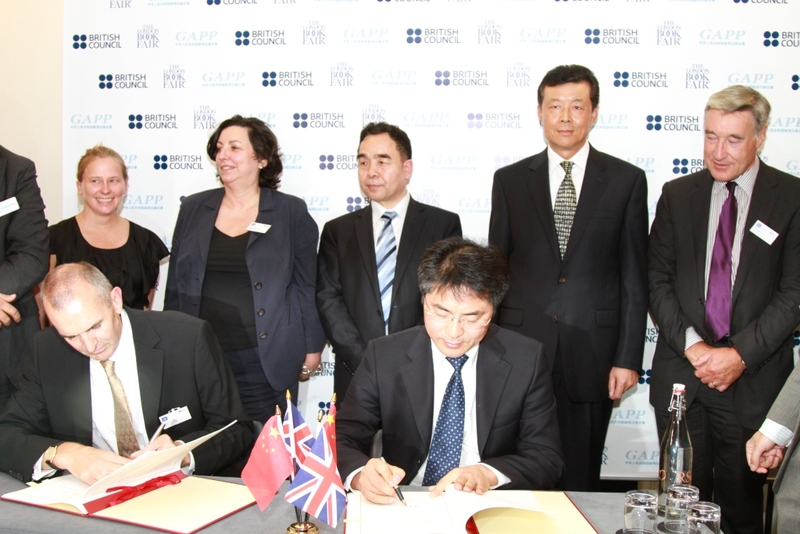 The representatives from the General Administration of Press and Publication in China and the Reed Exhibitions then signed the Memorandum of Agreement of China as the Guest of Honour, Marketing Focus Programme, to 2012 London Book Fair. Founded by the British Industrial and Trade Fair Corp. in 1971, the London Book Fair is an international book copyright fair second only to the Frankfurt Book Fair in size. The Book Fair is held in April every year for 3 days. 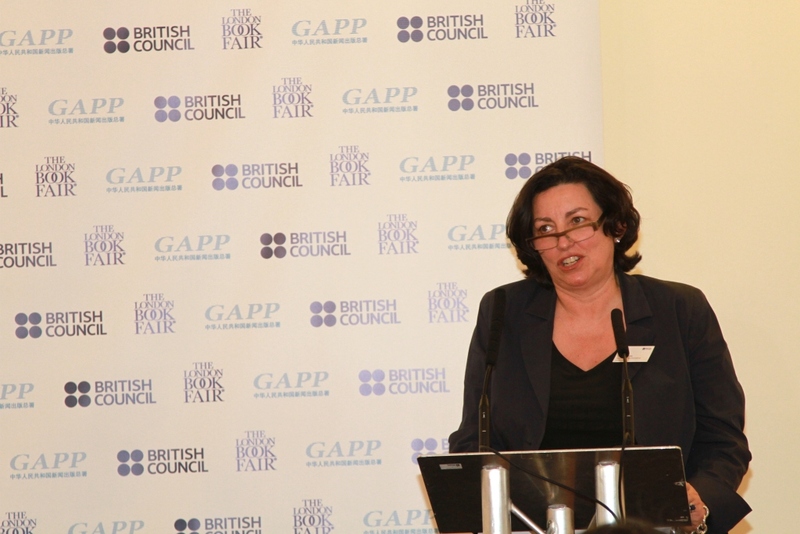 The “Market Focus” guest of honour programme of London Book Fair started in 2004, jointly hosted by the organizer of the Book Fair and the British Council. Each year a country or region is invited as the “Market Focus” guest of honor, which becomes the highlight and focal point of the Book Fair by displaying its publications to the international publishing industry and the British public, introducing its well-known writers and important works, promoting its book copyright trade with the rest of the world and hosting various cultural and publishing exchange events to increase its influence on the platform of the Book Fair.